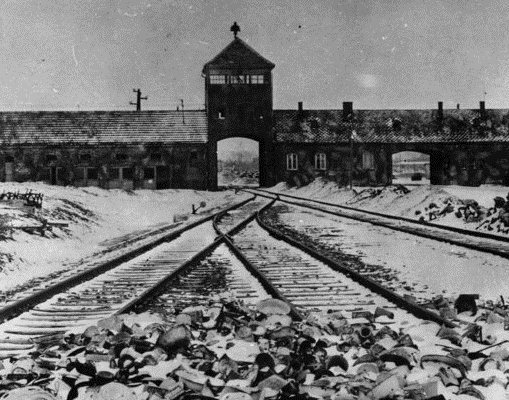 Yesterday (Jan 28th, 2015) marked the 70th anniversary of the liberation of the Nazi death camp Auschwitz. More than one million people were killed at Auschwitz, most of them Jews. During ANZAC day, I will be sharing my thoughts on the horror of war. Today, I would like to reflect on an article by ABC reporter Clare Rawlinson, telling the story of Eva Slonim, a Holocaust survivor living in Melbourne, who recalls the voice of her father as the reason for her survival. During her torture, Ms Slonim says she never admitted her identity, because her father warned her of the consequences before they were captured. He told her “don’t ever admit you’re Jewish – once you admit you’ll be condemned to death for sure, but if you don’t admit you’ll have a chance. So fight with every fibre in your body not to admit”. “That was in my mind when I was being tortured. In fact, I saw my dad dancing in front of me and that gave me courage,” she said. Her father’s second piece of advice also stayed with Ms Slonim during her greatest trials. “He said ‘look every night at the stars and so will I. Talk to them, complain to them’. So I looked to them in the concentration camp and communicated with my father,” Ms Slonim said. When the Soviets freed Auschwitz prisoners on January 27, 1945, Eva Slonim was 12 years old. Ms Slonim was eventually reunited with her parents after the Holocaust, but they never spoke about what any of them endured. One of the most powerful tools I have identified after years of talking to children and parents, is the power of a father’s voice to prevent risky behaviour in the challenges facing our society today. A mother’s protective instruction is expected, when a father goes out of his way to encourage his children to say no and to stick up for when they are uncomfortable is transforming.